That’s why one of the biggest risks in the stock market right now is complacency. It’s become a reliable contrarian sign that a big reversal could happen at any moment. On October 19 we saw the thirtieth anniversary of Black Monday, the greatest one-day percentage stock market crash in U.S. history. 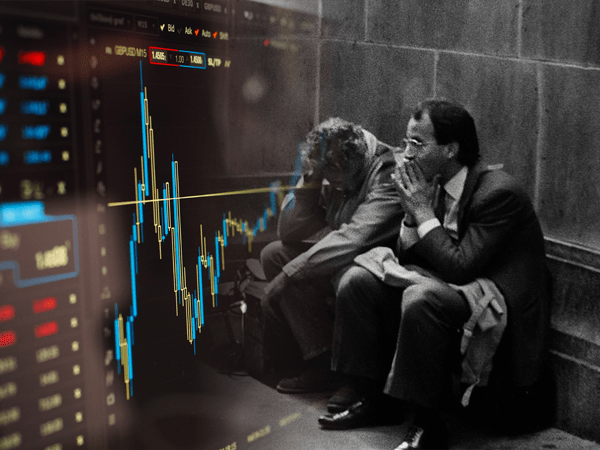 Xavier Rolet, the boss of the London Stock Exchange who was working at Goldman Sachs in New York at the time, recalls the impact Black Monday had on him and how it exposed a weakness few had ever expected to see. Today we have circuit breakers and market closures in place to deter such a fall from occurring again. However, such financial regulatory instruments would not solve the fear and panic that would inevitably ensue and cause the markets to crash. Perhaps, one of the most striking features of current financial market price action is the conspicuous absence of investor risk concern. Stock market price volatility, for instance, has bottomed out on the lowest level since the early 1990s. At the same time, stock prices have reached all-time highs, and the valuation level has gone up substantially (with, say, the PE ratio standing now well above its long-term average). Investors are apparently quite confident that corporate earnings will continue to go up and a stock price correction is nowhere near. Why are investors being so complacent? The current high levels of complacency have been fueled by the fact that central banks are under-pricing risk and, in some instances, ignoring it altogether – in both the credit and equity markets. This, combined with keeping interest rates and the cost of capital low, has created the illusion of stability and returning prosperity among investors as they expect interest rates to remain suppressed or even be lowered further. This has led to misallocation of capital (“bubbles”) in stock and real estate markets. Central banks not only lowered interest rates down to never before seen levels… they also created an unofficial ‘safety net’ – through the policies they have implemented in the last decade. This has given investors a false sense of security. Having little to fear in terms of systemic risks, investors feel encouraged to engage in risky investments… investments they would not be making if central banks hadn’t put in place this supposed safety net. The political attempt to prevent yet another credit crisis – in which borrowers default on their payment obligations, causing the economy and financial markets to nosedive – paves the way towards an increasingly inflationary environment. The relentless rise in asset prices, be it stock or housing, unmistakably shows how dependent the economic and financial system has already become – a dependence that will only get greater in times of “The Great Complacency” brought about by central banks. Investors are apparently pretty confident that corporate earnings will continue to go up and with no risk of a stock price correction. Though Wall Street portrays this sense of security, the fact is a market meltdown in today’s deeply interconnected markets would be even more difficult to contain. Why? Because it could spread rapidly. This is what happened at the end of 2007 and mid-2015. It’s inevitably going to happen again, and when it does, investors will be crushed. That’s why you shouldn’t be lulled into complacency as most investors have been. Stocks will never be a “safe bet.” There are simply too many factors at play which the banks and government will never be able to control. Gold, on the other hand, is still one of the most effective ways of protecting your wealth and a wise investment in today’s overly complacent world. Whether it’s a political event (like the conflict with North Korea) or an economic event (like the sudden bankruptcy of a major financial institution), all it takes is one domino to fall to set off a chain reaction that cannot be stopped.